The installed base of 400 watt Sodium lights was old and not easy to repair, lighting levels were poor across the whole workshop floor. Initial trials were conducted in one area using the Exled HBL-150 fixture, remarkably the lighting effect was a significant improvement over the existing 400 watt Sodium high bay lights. 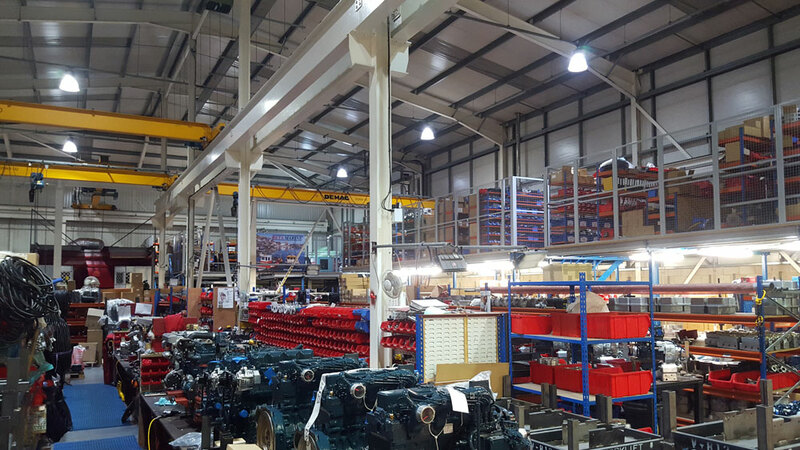 Better light levels across the factory floor, and reduced lamp warm up times. The Exled HBL-150 was chosen for its traditional High bay design and exceptional reliability. The even light distribution pattern of the HBL-150 showed itself in the uniform light simulation plots that were prepared prior to commencing the installation. 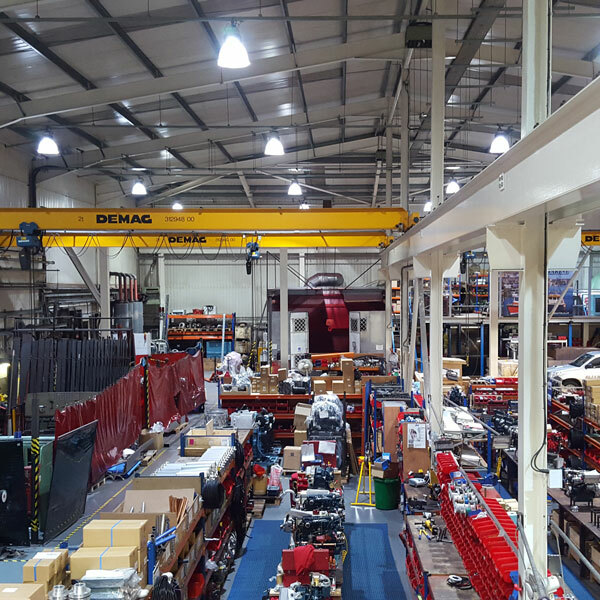 The facilities manager is very satisfied with a well-lit workshop and with the instant full brightness illumination when the lights are switched on. Production staff find it much easier to read labels and instruction sheets and the accountant is especially happy that the workshop lighting energy bills are reduced by 65%.